The effects of mold can be very dangerous to humans, and there are many health issues from mold that can arise with continued exposure. Even though mold may seem like a small inconvenience because it only appears to be a little bit of discoloration on the paint or carpet, there are millions of microscopic spores that can infiltrate the human body and cause a number of illnesses. Mold can grow in a number of places in your home, such as in the walls, in tile grout, under linoleum, in carpet, and even in the floor or ceiling. 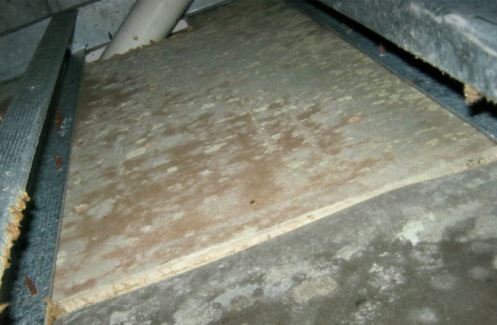 Many times the mold growth is not easily seen, because much of the growth is occurring in inconspicuous places. For example, you may see a little bit of discoloration on the paint, but within the wall the mold has grown out of control. When mold is present in one area of a building, the effects of mold can cause a dangerous environment throughout the rest of the building. 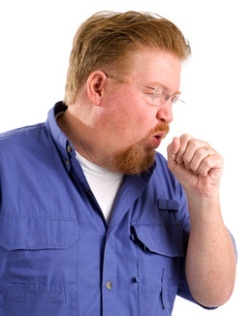 Health issues from mold can occur even if a person is not in visible contact with the mold. The tiny spores move through the air and they can get caught up in the ventilation system of the building. As these spores fly through the air, they are breathed in and health issues from mold can begin to develop. The perfect environment for mold growth is any porous surface that has been wet for more than a day or two. These wet areas can be caused by a number of situations such as a leaky pipe, flood, humidity in the room, condensation on the windows, etc. Any areas that are moist for long periods of time should be tested for mold in order to avoid the potential health effects from mold. The effects of mold can be very dangerous to humans, because there are many diseases that can occur when a person is exposed. Health issues from mold can occur from just a little bit of exposure, and continued exposure to the mold will cause the symptoms to get worse and other symptoms to develop. If you are experiencing chronic illness in your home, it could be a result of the effects of mold. Tests can be done to determine if mold is present in the building, and these tests will identify mold spores even if they are hidden within the walls or floorboards. You can follow this link to get a list of mold testing specialists in your area. When mold is not visible to the naked eye, it may not seem like a harmful substance. However, health issues from mold can develop because the microscopic spores are sent throughout the building. The effects of mold can become even more dangerous when food within the home is exposed; the mold is ingested every time the food is eaten. The mold cleanup process must be very thorough in order to effectively get rid of all of the spores within the building. Many times, this means that it is necessary to tear open walls, rip up carpet, and remove any other materials that may contain mold. All of the affected porous materials should be discarded and replaced with new items that are not contaminated. (Wood can sometimes be salvaged by sanding it down to remove the mold, but that is too dangerous for anyone but a professional remediation expert to handle). The effects of mold may continue to cause a dangerous environment within the building if any trace of mold is left after the cleanup process is complete. The only way to ensure that the mold has been completely removed is by using professional testing to determine if mold spores are present. You should talk with a mold specialist in order to ensure that your family is safe. A mold testing specialist is usually an engineer that is specifically trained to identify the problem areas and get an accurate reading on the severity of the mold growth. Identifying the mold type. It’s important to know what type of mold you are dealing with before you start any cleanup. Some types of mold are much more hazardous to work with. The mold tester will write a step-by-step removal plan, and supervise the removal process to make sure it is done correctly and that no mold is missed. The test cost may be covered by your insurance policy. Home tests are not covered and are not as accurate. Click on the link to find a local professional that can perform a mold test for you. It is also a good idea to have an additional test done after the cleanup process is complete. The follow-up test will confirm that all traces of the mold were removed completely. Symptoms of mold exposure include coughing, sneezing, sinus infections, watery eyes, fatigue, depression, etc. Here is more on the symptoms of toxic mold exposure.